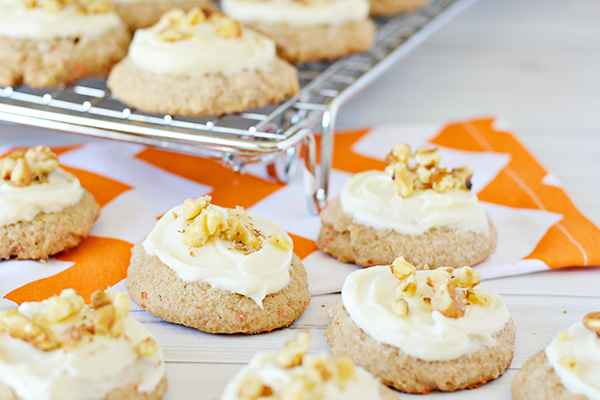 This Carrot Cake Mix Cookies recipe is a quick and easy cookie with the help of a boxed cake mix from the grocery store. Top these cookies with a homemade cream cheese frosting and crushed walnuts for delightful treat that is suitable for everything from an after-school snack to parties. Did you know that you can make cookies from a cake mix? I’m sure I’m not the only person who’s had a craving for cookies and stared at that box of cake mix in the pantry. Boxed cake mixes are so easy to make a cake from, so why not use them to make easy cake mix cookies? Not only can you make cookies from cake mix, but just as there is dozen of cake mix flavors, there is many ways you can transform a boxed cake mix into cookies. One of my favorite cakes — and it doesn’t matter if it’s a boxed cake mix or homemade — is easily carrot cake. 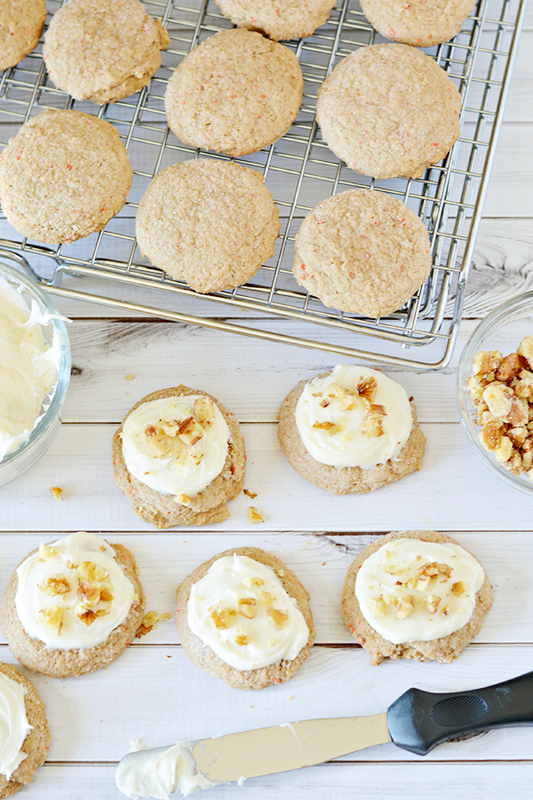 Turning carrot cake mix into cookies is a great way of getting your carrot cake fix, into a favorite hand-held treat. To make your own Carrot Cake Mix Cookies, you’ll start by combining a box of Carrot Cake mix, flour, eggs, vegetable oil and sour cream. After the dough is formed, you’ll drop spoonfuls of dough onto a parchment lined baking sheet. Using the bottom of a glass dipped in sugar, press to flatten the cookies. After baking and cooling on a wire rack, the tops of your Carrot Cake Mix Cookies are frosted with the homemade Cream Cheese Frosting. For an extra touch, garnish your cookies with some chopped walnuts. Aren’t they lovely? They are yummy and SO EASY to make. 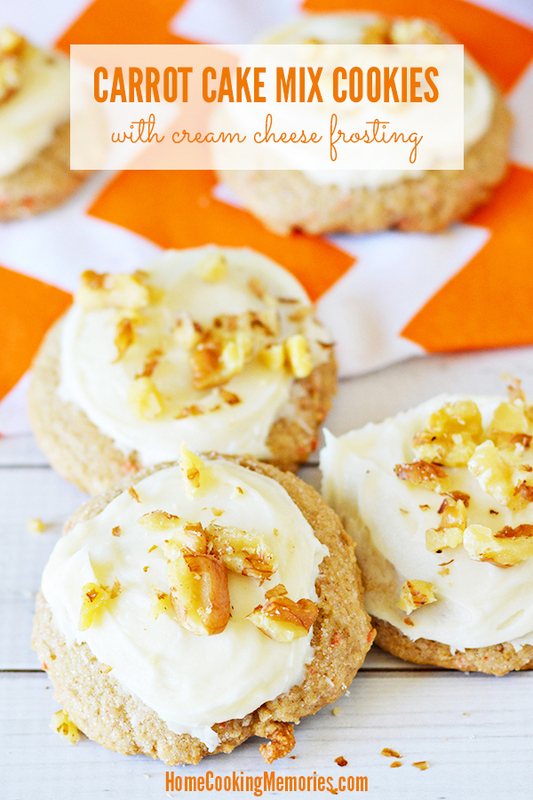 Here is the full recipe for making these Carrot Cake Mix Cookies, as well as the homemade cream cheese frosting. If you aren’t ready to make them yet, be sure to save to one of your cookie boards on Pinterest so that you can find it easily later on. 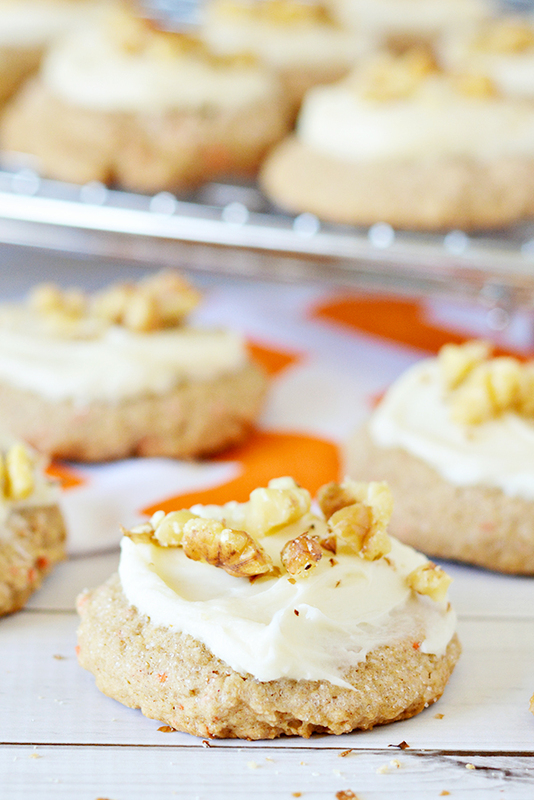 This Carrot Cake Mix Cookies recipe is a quick and easy cookie with the help of a boxed cake mix from the grocery store. 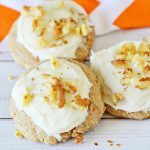 Top these cookies with a homemade cream cheese frosting and crushed walnuts for a delightful treat that is suitable for everything from an after-school snack to parties. 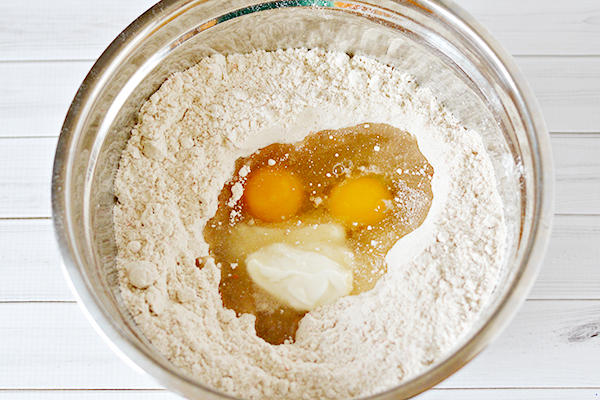 In a bowl, combine cake mix, flour, eggs, vegetable oil and sour cream. Mix well to combine. Dough may be sticky and thick. Drop dough using a teaspoon onto a parchment lined baking sheet. 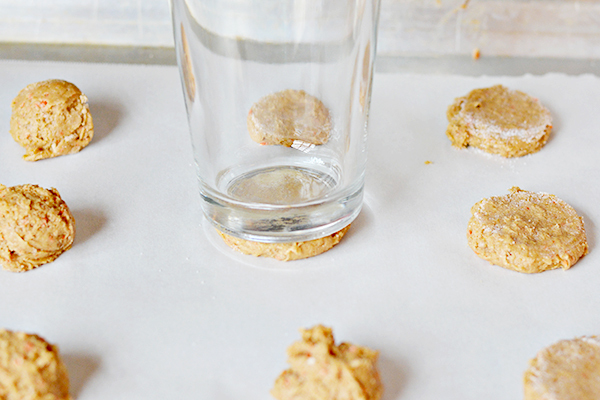 Use the bottom of a glass dipped in sugar to flatten the cookies to about 1/4″ thickness. Bake 10 minutes or until golden brown on the bottom. Cool completely on a wire rack. In a mixing bowl add cream cheese and butter. Beat well. Add powdered sugar and vanilla and beat until no lumps are visible. Frost cookies with a generous dollop of frosting and sprinkle with crushed walnuts. I love carrot cake but in a cookie sounds great. 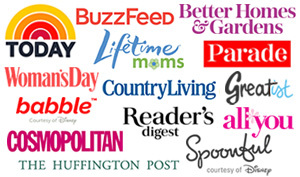 Thanks for sharing with us at Throwback Thursday! Pinned and shared!